I am having a small issue with spacing. Please see this page which has a jotform integrade (with source code). There is a big space above the form. How do I remove this? The div areas are set to valign top. Also, I am using page breaks. Everytime the "next page" is clicked, the wntire page jumps to align with the top of the page. Can these two issues be fixed somehow? 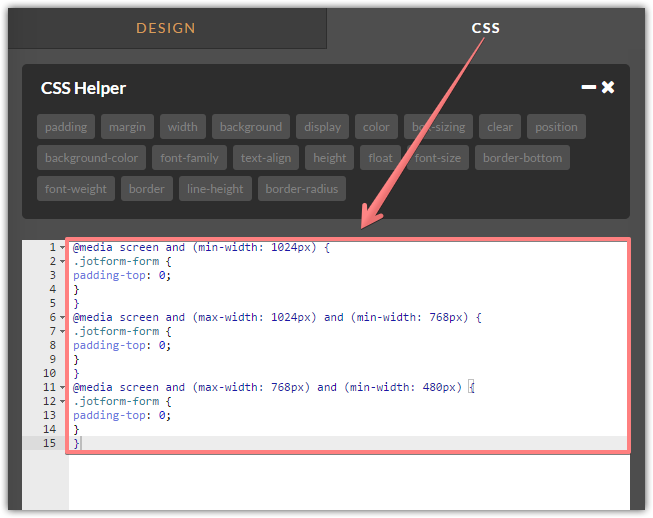 Please inject the following CSS via the Form Designer or your web page sources in order to remove the top padding. The second issue has been moved into a separate thread.